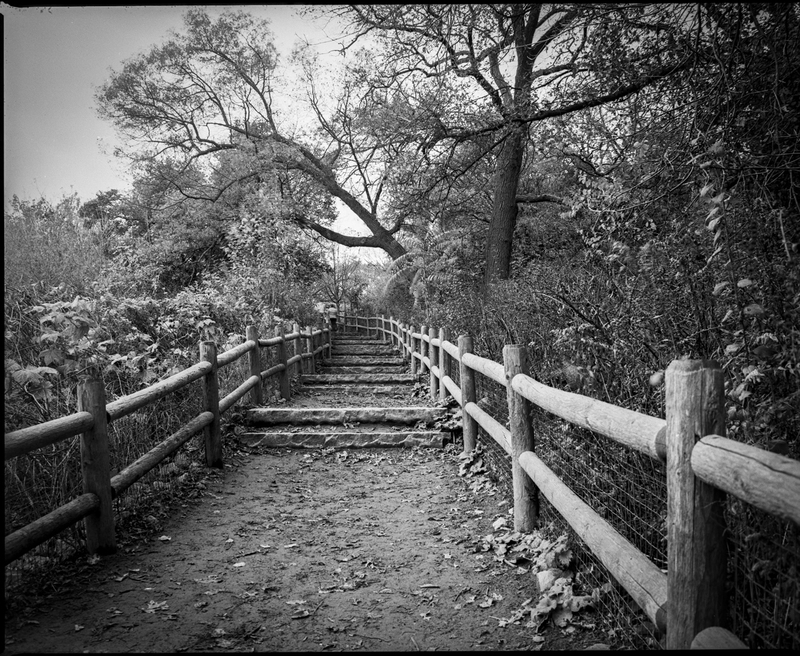 This spot in High Park has been featured below, but this time the image was created from a slightly different angle. 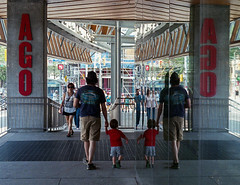 I quite like the look of RPX25 in medium format! Back to one of my happy places in High Park. 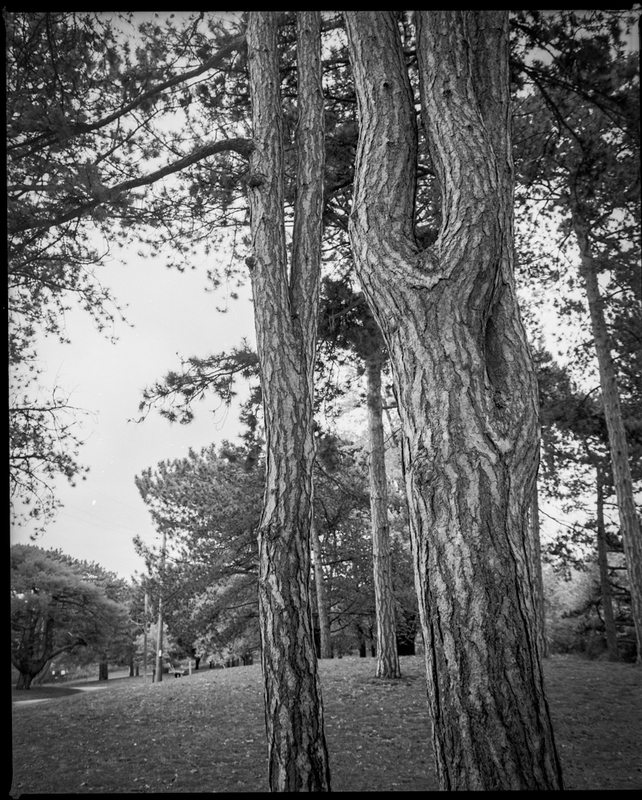 I continue to be on a bit of a fine grain slow speed film kick. 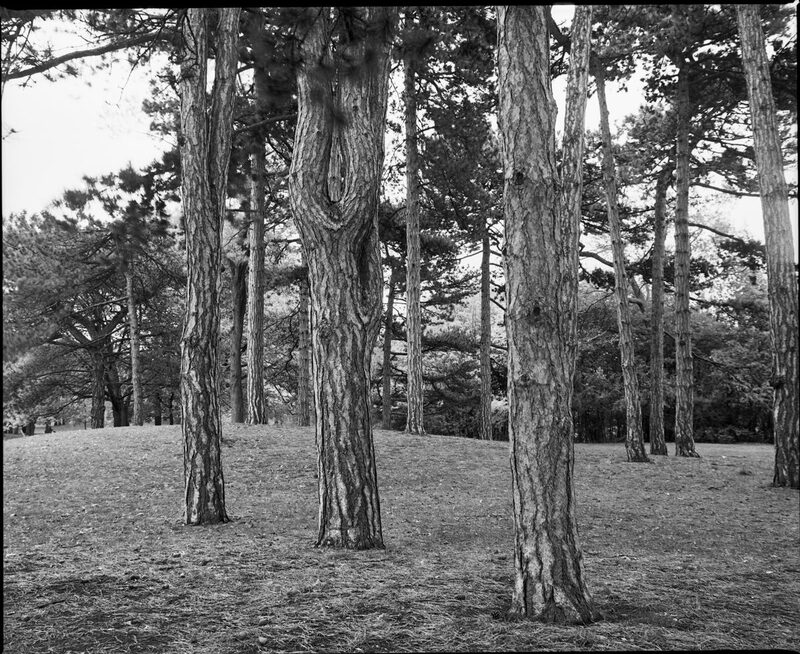 Rollei RPX25 is another amazing film, but you have to get the exposure right. (It really doesn’t like over-exposure). 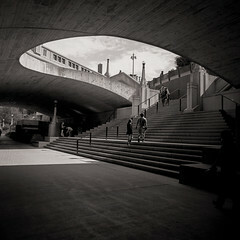 It has a nice snappy contrast, making it perfect for dull days). 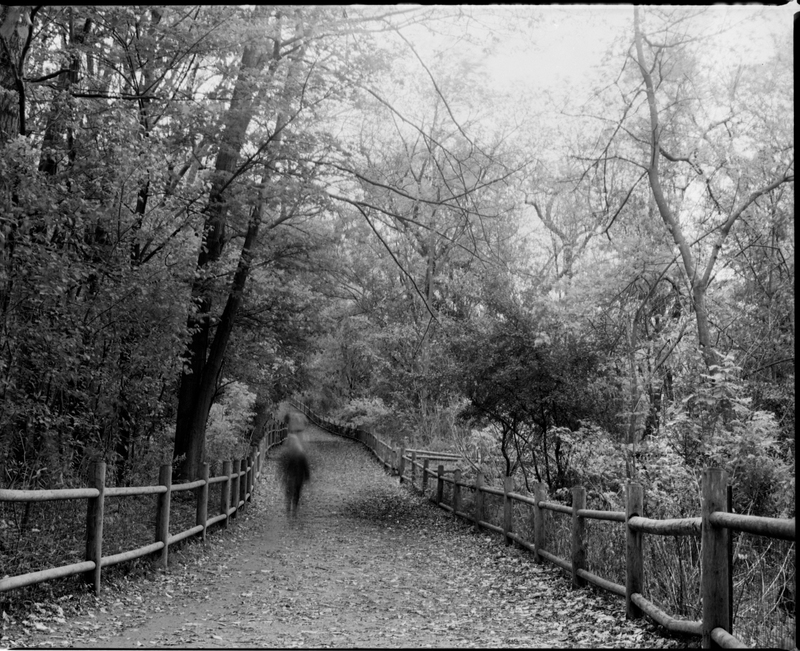 Another “ghost image” from High Park a few days ago. Something caught the dog’s attention and it stayed still long enough to register, more than the dog’s companions further back. Exposure about 1.5 seconds. 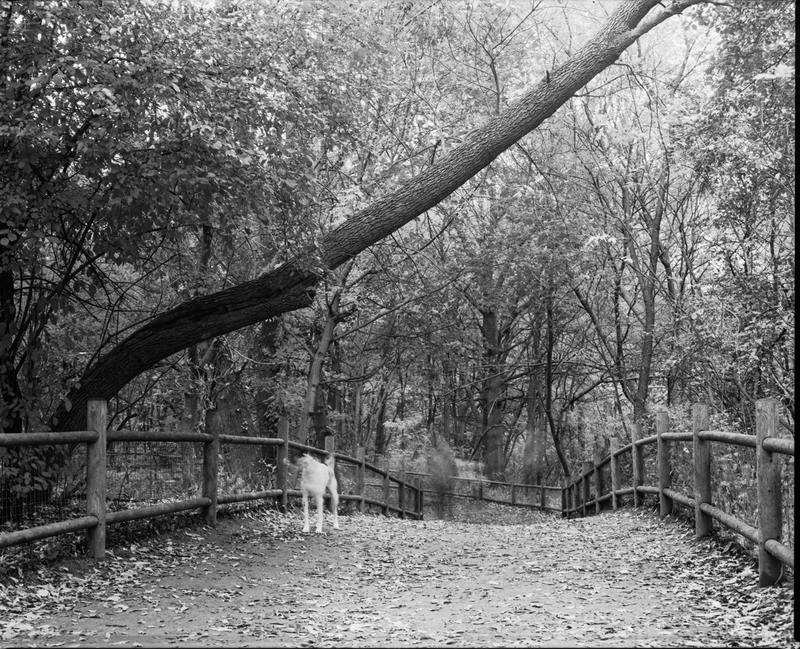 This past Saturday on a very gloomy and dull morning I went to High Park with my Mamiya RZ67, slow speed fine-grained films and of course a tripod. 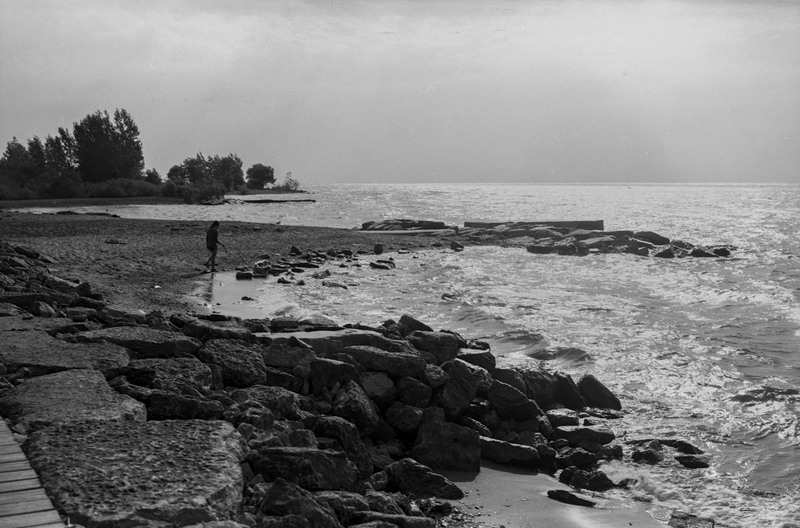 Exposures were often 1 second more, so any moving people in the image would be a ghostly blur. I like the effect! 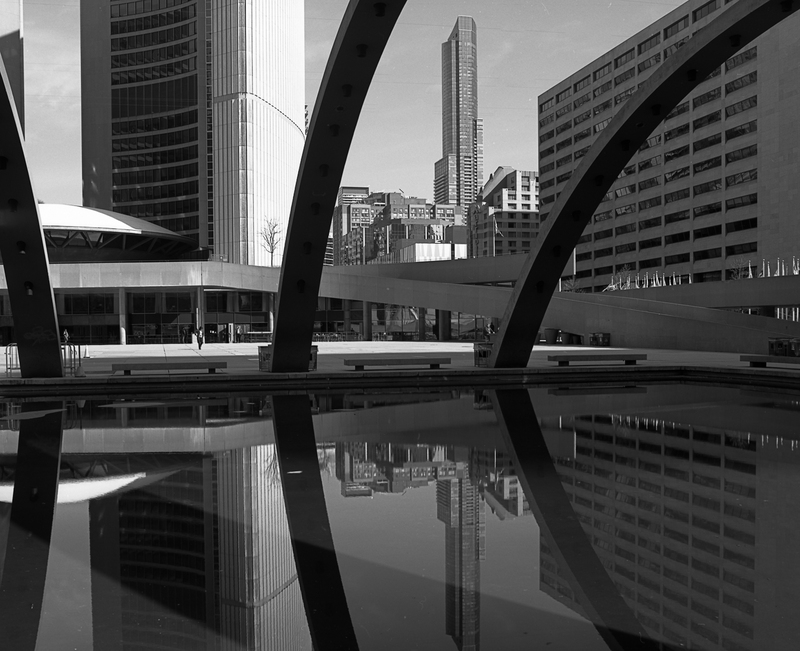 Today’s image is also from Nathan Phillips Square but in black and white.